The newest members of the Vanderbilt Student Media Hall of Fame are a musician turned rocket scientist, a journalist battling corporate news chains, a former ambassador building U.S.-Canadian relations, a lawmaker working to protect children and consumers, a marketing executive raising Vanderbilt’s international profile, and a distinguished law professor. Selected for the 2018 class are Scott Hubbard, Richard McCord, Bruce Heyman, Mary Margaret Oliver, John Hindle and Paul Kurtz. McCord, who grew up in a suburb of Atlanta, was editor of The Vanderbilt Hustler during a pivotal period of the civil rights movement. 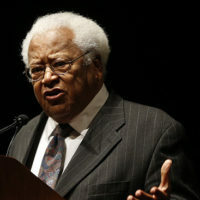 He enrolled at Vanderbilt in 1960, four years before the first eight African American undergraduate students were admitted. McCord also wrote about Congressman John Lewis, who represents Georgia’s Fifth District. During the ‘60s, Lewis was a Fisk University student activist organizing sit-ins at segregated lunch counters and risking his life as a Freedom Rider. McCord majored in English in the College of Arts and Science and earned his Bachelor of Arts in 1964. Life after college for McCord began in the military, where he was on active duty in the Air Force during the escalation of the Vietnam War. In 1967, McCord started his journalism career at Newsday in New York before heading west. 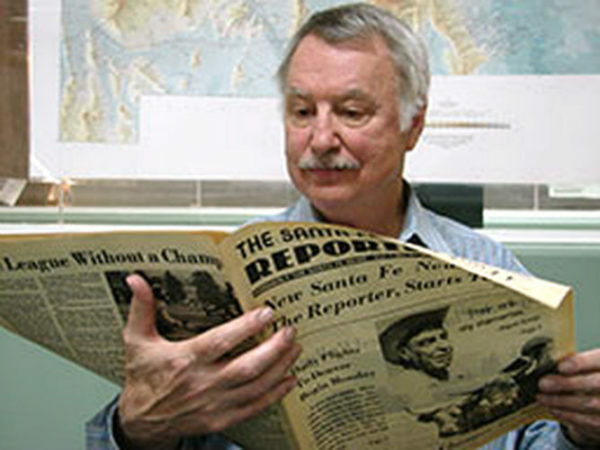 He worked for the Santa Fe New Mexican and founded the Santa Fe Reporter, where he was the longtime editor and publisher. 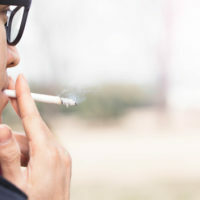 The weekly newspaper received more than 200 awards for excellence, including the top prize by Investigative Reporters and Editors for an in-depth examination of the state’s mental hospital. McCord is the author of four books, which include The Chain Gang: One Newspaper Versus the Gannett Empire, a finalist for the National Book Award. The Chain Gang, first published in 1996, was propelled by a call that McCord received from his friend and colleague Frank Wood, who was waging a fierce fight against a corporate take-over of the Green Bay News Chronicle. McCord has also written extensively about his adopted hometown, where he has been named a Santa Fe Living Treasure. Hindle, a Rhode Island native, arrived on campus just a few months after McCord graduated in 1964. He joined the editorial staff of Spectrum, a magazine created in the early 1960s for Vanderbilt students to publish their honors work. “The publication had expanded to include a larger focus on creative writing—poetry, short stories and the like,” Hindle said. “Serving on the editorial staff taught me how to evaluate writing and research as well as develop skills in editing and production. I also learned the value of peer review.” Vereen Bell and Paul Elledge, who are both professors of English, emeriti, were among his favorite mentors. He also started the Greater London Vanderbilt Club, the first Vanderbilt alumni chapter outside of the United States, working to build Vanderbilt’s international presence and increase alumni engagement. Hindle is a former director and president of the Vanderbilt Alumni Association and served a four-year term on the Vanderbilt Board of Trust. He remains very engaged with the Vanderbilt community, including student media. Most recently, he coached a group of students in designing and building a marketing plan for an international fashion show they were organizing. “The Hustler was like a home away from home,” said Kurtz, who was a little homesick when he came to campus in 1964 from Spring Valley, New York. During high school, Kurtz worked summers for a Rockland County newspaper. He covered sports all four years at Vanderbilt and was sports editor his junior and senior years. “I didn’t ‘live’ at The Hustler, like some of my friends, but my freshman dorm—Vanderbilt Hall—was only about 200 yards away from the office in Memorial Hall,” Kurtz said. “I would go the printer off campus some nights to watch the process of setting and proofing the copy.” He was also active in Alpha Epsilon Pi social fraternity and was elected to several offices, including president. One of his most vivid memories was the late Perry Wallace breaking the color barrier as the first African American basketball player in the Southeastern Conference. The early days of the Impact Symposium, on which Kurtz served on the board of directors, also made a huge impression on him. Speakers while Kurtz was a student included Stokely Carmichael, Martin Luther King Jr., Alexander Kerensky and Barry Goldwater. Kurtz, who majored in political science, after considering graduate school in journalism, chose to attend law school in 1969. He received his Bachelor of Arts in 1968 and his Juris Doctorate (also from Vanderbilt) in 1972. 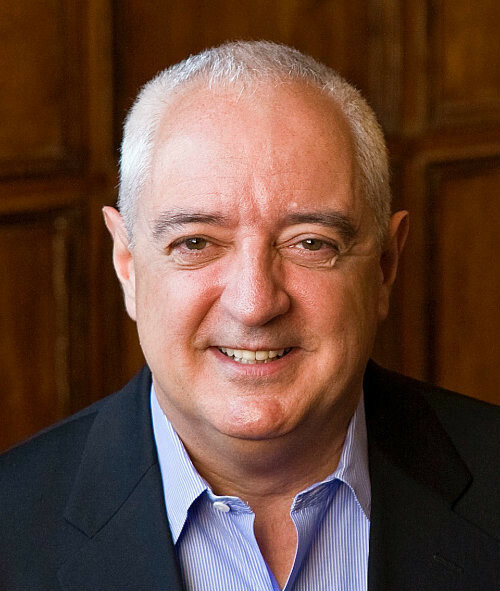 After earning a Master of Laws at Harvard, Kurtz joined the law faculty at the University of Georgia in 1975, where he specialized in criminal law and family law. 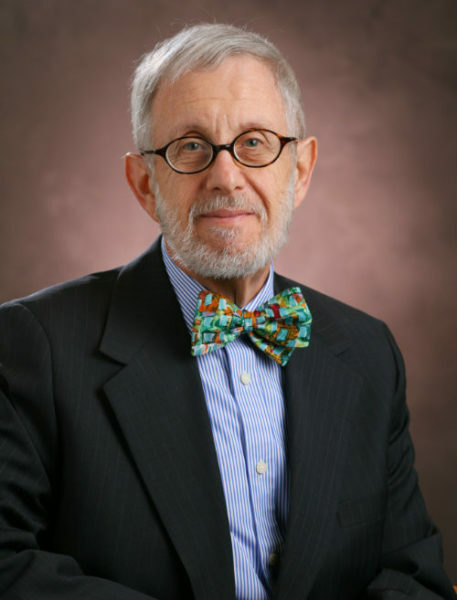 A recipient of the University of Georgia President’s Medal for distinguished service in academic work and community service, Kurtz is now an emeritus professor and represents Georgia as a commissioner on Uniform State Laws and has chaired a number of accreditation visits of law schools for the American Bar Association. Oliver grew up in DeKalb County, Georgia, and went to Vanderbilt in the fall of 1966. She pledged Kappa Delta sorority, which encouraged her to become involved in extracurricular activities like The Hustler, where she was a news reporter. She was also involved in the start-up phase of Versus. Oliver majored in English and was on track for teacher certification, but decided to forgo a semester of student teaching. She took classes at Georgia State one summer while working as a life guard, earning her Bachelor of Arts in three years. Oliver later became a full-time law student at Emory, earning her Juris Doctorate in 1972. She taught at Boston College Law School before entering private practice in Decatur, Georgia. 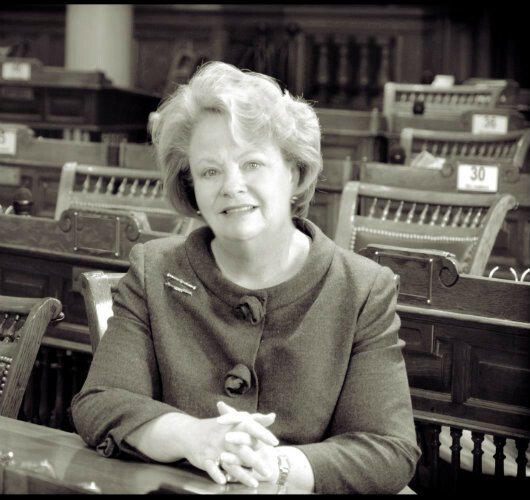 Oliver was elected to the Georgia House of Representatives in 1987, serving five years before moving to the George State Senate, where she was appointed chair of the Judiciary Committee. This marked the first time in 40 years a woman had been named chair of a standing senate committee. Oliver served three terms before running statewide for lieutenant governor. She then took a short break from politics, practicing law and teaching at the Barton Center for Child Advocacy at Emory University. In 2003, she rejoined the Georgia House, where she continues to represent the 82nd District and chairs the Judiciary Committee. Georgia’s anti-stalking law and legislation to protect neighborhood activists from intimidation are among her many legislative accomplishments. Hubbard, who grew up in Elizabethtown, Kentucky, enjoyed extemporaneous speaking and debate competitions in high school. “When I arrived on campus in 1966, working at WRVU seemed like a natural extension of my deep interest in public speaking,” Hubbard said. Hubbard remembers a tiny WRVU studio on an upper floor of Neely Auditorium. The news staff was small and he practiced his broadcast voice. “I tried to sound authoritative and not ramble while reading the short news summaries that we pulled together from wire copy,” he said. One of his most memorable interviews was with Impact speaker Stokely Carmichael. “I guess it was an impromptu Q&A as I had to hustle to talk with him during a walk across campus,” Hubbard said. He also played guitar in a jazz group that did a benefit in honor of poet and activist Allen Ginsberg, who was also part of Impact. Hubbard completed a double major in physics and astronomy. The late professor Douglas Hall, who had just joined the department, was his adviser. Hubbard earned his Bachelor of Science in 1970 but stayed in Nashville—working as a research assistant in Physics and Astronomy while playing music at night in clubs like Red Dog Saloon and Black Diamond Lounge. In 1973, Hubbard moved to San Francisco and went to graduate school at the University of California at Berkeley. He spent 20 years at NASA, eventually serving as director of its Ames Research Center. He also served as NASA’s first Mars program director and restructured the program successfully in the wake of mission failures. 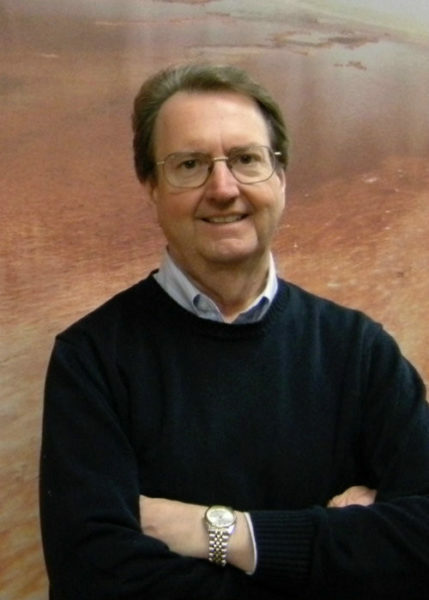 He is the author of Exploring Mars: Chronicles from a Decade of Discovery. Hubbard is a recipient of NASA’s highest honor, the Distinguished Service Medal. In 2007 Hubbard became an adjunct professor of aeronautics and astronautics at Stanford University. He is semi-retired now, but remains engaged in several projects, including chairing the SpaceX Commercial Crew Safety Advisory Panel. Hubbard still credits his experience at WRVU with helping him hone his organizational and communication skills—which have been vital throughout his career. “Particularly when I was at the higher levels of NASA, I learned that it’s extremely important to be able to explain to a variety of audiences what you want to accomplish,” he said. Heyman grew up in Dayton, Ohio, skipping his senior year of high school and enrolling at Vanderbilt in 1975. He and some of his suitemates signed up to work at WRVU, which was settling into its new home in Sarratt Student Center. The skills he learned at WRVU, such as communicating in front of a microphone, proved tremendously helpful many years later when he became U.S. ambassador to Canada. Heyman completed a double major in business and economics, earning a Bachelor of Arts in 1979. That spring he enrolled at the Owen Graduate School of Management, where he earned his Master of Business Administration in 1980. He then began working in Chicago as an investment banker for Goldman Sachs, where he eventually became managing director of private wealth management. In September 2013, President Barack Obama nominated Heyman to be U.S. ambassador to Canada, and he was confirmed by the Senate the next March. Heyman served as ambassador until January 2017. He recently established an office focused on the Canada-U.S. relationship, and serves on an advisory board of the Canada Institute at the Woodrow Wilson Center in Washington, D.C. He’s also appearing frequently on national and international news programs in his role as a freelance advocate for U.S.-Canadian relations. 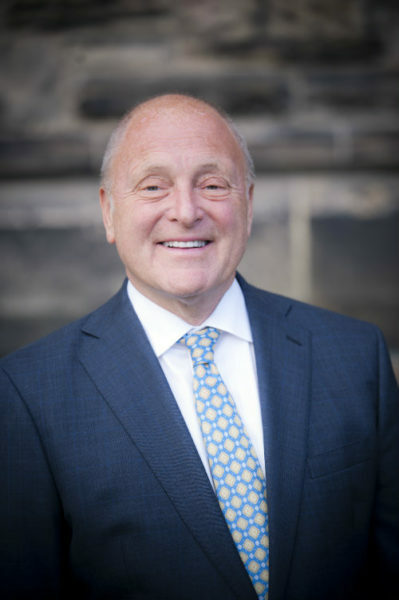 “I am taking my title of ‘former ambassador’ very seriously as I speak out for our nation’s continued connectivity with neighboring Canada,” Heyman said. The names of the six new inductees have been added to a permanent Hall of Fame display in Sarratt.